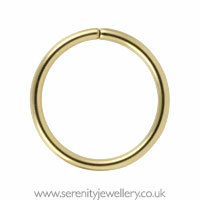 Hypoallergenic gold PVD coated surgical steel 6mm, 7mm, 8mm, 9mm and 10mm continuous rings. 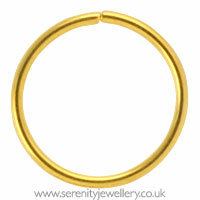 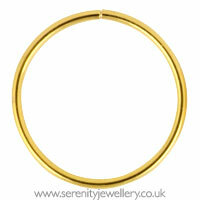 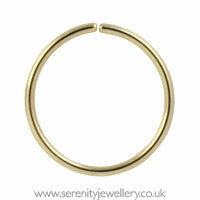 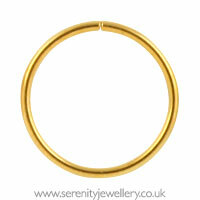 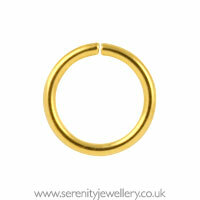 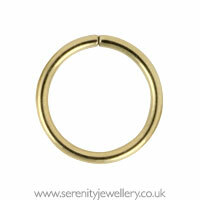 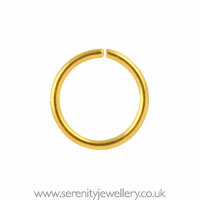 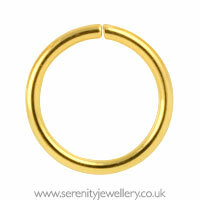 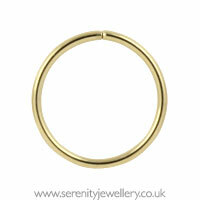 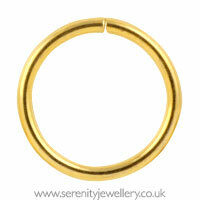 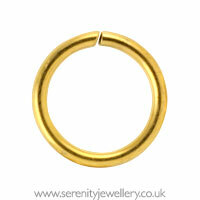 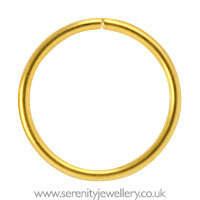 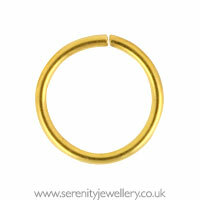 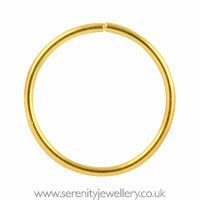 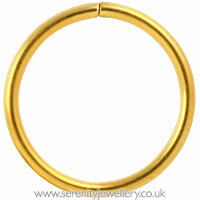 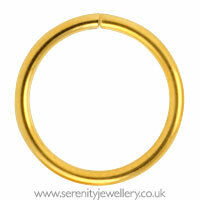 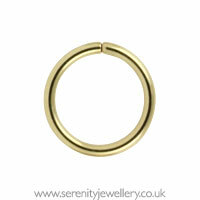 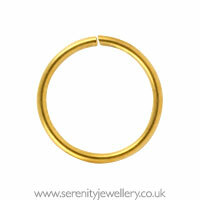 Yellow gold colour rings are also available in 11mm and 12mm. Also known as seamless rings. 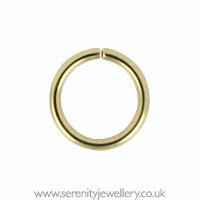 0.8mm/20 gauge (the same thickness as Blomdahl titanium and Studex Sensitive earrings) or 1mm/18 gauge continuous rings are good if your piercings have shrunk or were originally pierced with a smaller size, being thinner they are also easier to twist open and closed. 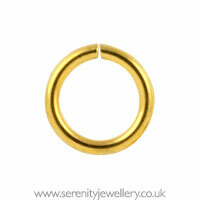 1.2mm/16 gauge is the most common size ears are initially pierced with. 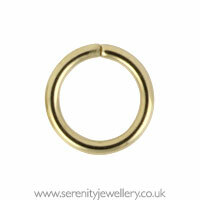 0.8mm/20 gauge is popular for nostril piercings. 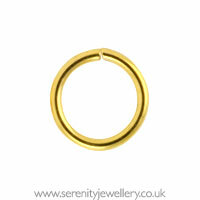 No allergic reactions on my 4 month new piercings, I still clean them with the solution sometimes and never take them off, they're safe to shower with. It'll soon be a month since I've purchased them and put them on, they look fine with no visible discoloration or anything. 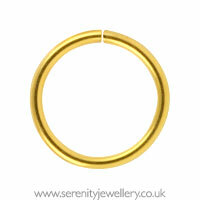 The different available sizes and piercing position may make it harder to close them sometimes, due to their great quality not all shapes and sizes can be as easy to close as silver understandably so, bearing that in mind, I recommend these. I bought this for my forward helix piercing and it wa so painful and fiddly to put in! 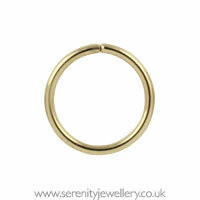 The ring didn't fully close after I put it in. 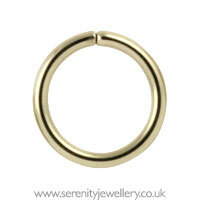 I think maybe the continuous rings aren't for me, but I bought a gold PVC barbell from Serenity instead and it's amazing! 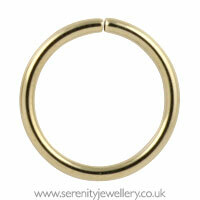 I have the rose gold hoops in 0.8mm gauge and the yellow gold in 1mm gauge. These are comfortable and do not irritate my lobes at all. Love the look of the thicker gauge but they are slightly harder to put in and bend the hoop back into shape. 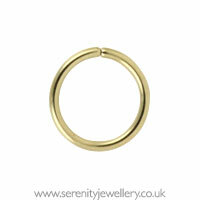 Not too much of a problem for me but would be annoying if you take them in and out a lot. 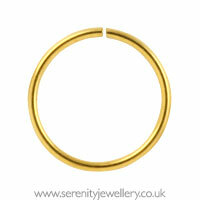 Overall great earrings at a great price! 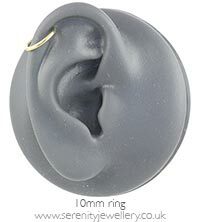 Bought these for my daughter as she has very sensitive ears. 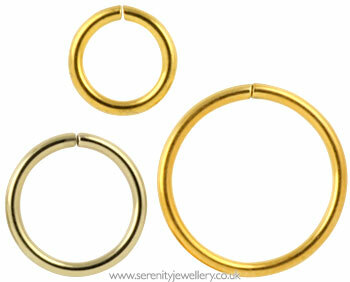 No problems wearing these at all. 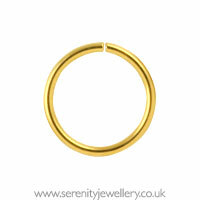 Perfect size for kids, hoop not too large. 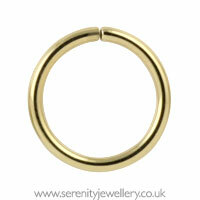 Only gave 4 stars as the closure is very fiddly, even in the narrow gauge, and we can't always close the loop together securely. 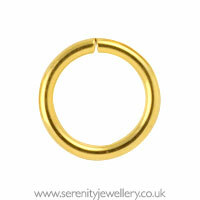 These are very comfortable earrings, hardly know I am wearing them & very comfortable. 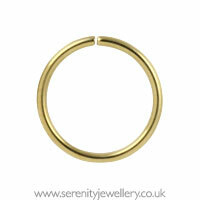 Slightly tricky to get in but otherwise great product.